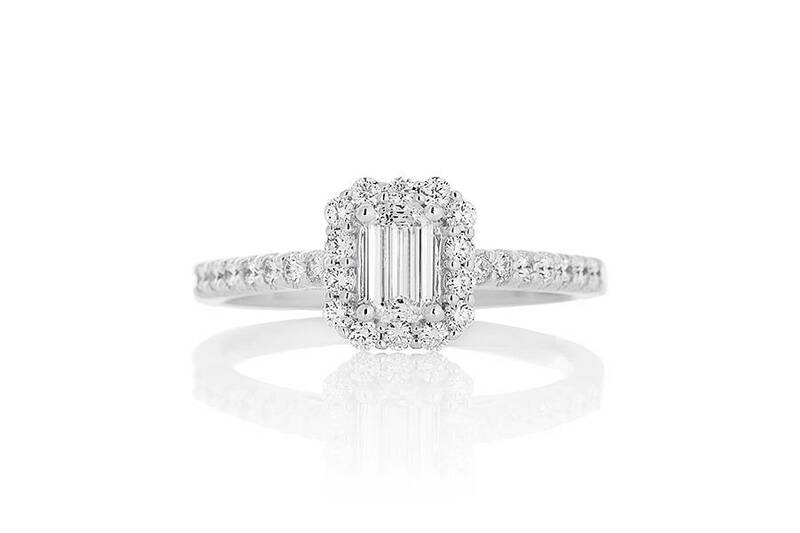 Ladies emerald cut diamond halo engagement ring of classic contemporary styling. 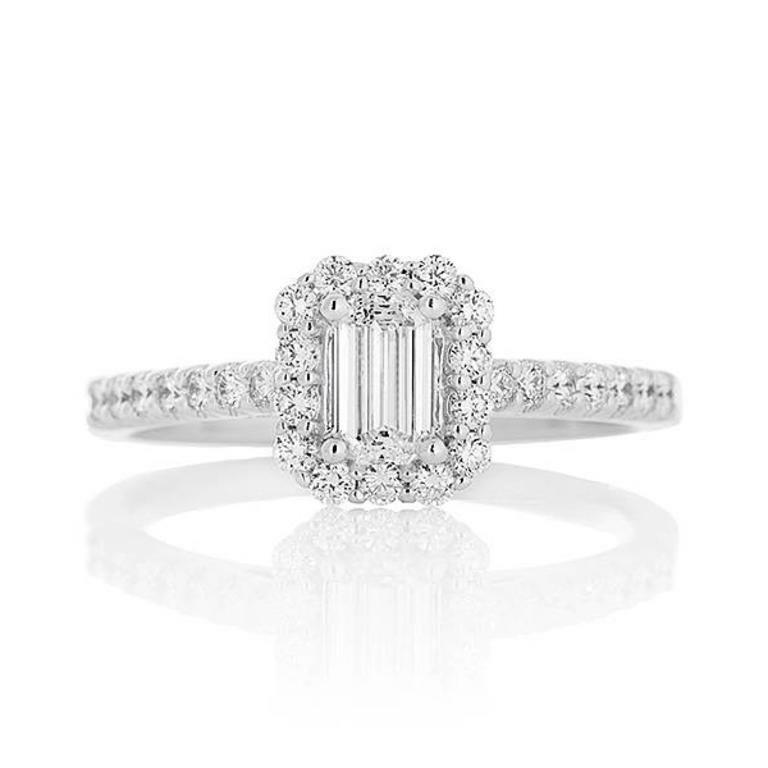 This diamond is Canadian in origin and is appraised independently. It is four-claw set and is surrounded by a halo of round brilliant cut diamonds that also extend down the shoulders of the ring. The remaining shank of the ring is semi tiffany in shape and high polish in appearance.